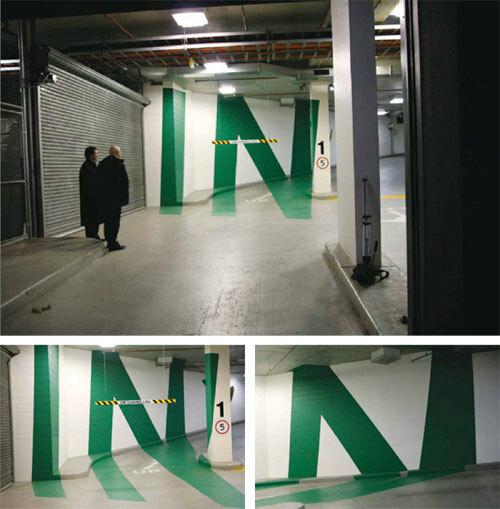 The Eureka Tower Carpark in Melbourne, Australia contains of series of anamorphic letter illusions designed by German artist Axel Peemoeller.  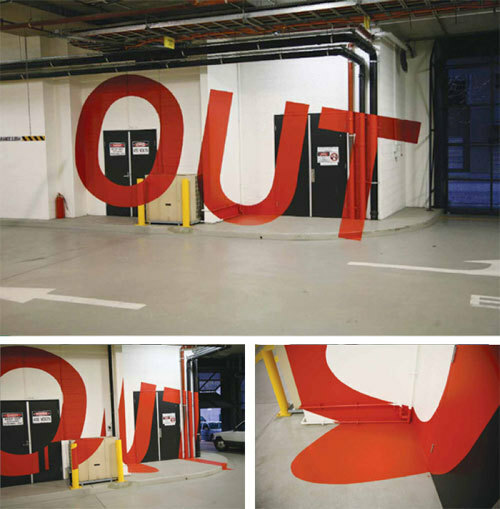 The letters can be read perfectly when viewed at certain angles, but appear distorted when viewed from all other angles. 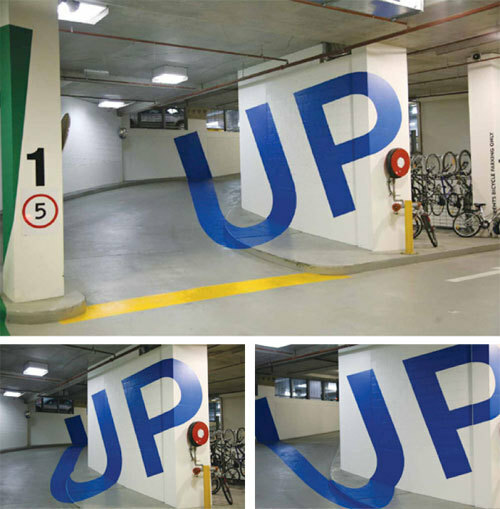 The example below shows the how the letters form the word “UP” as a motorist approaches the up ramp. 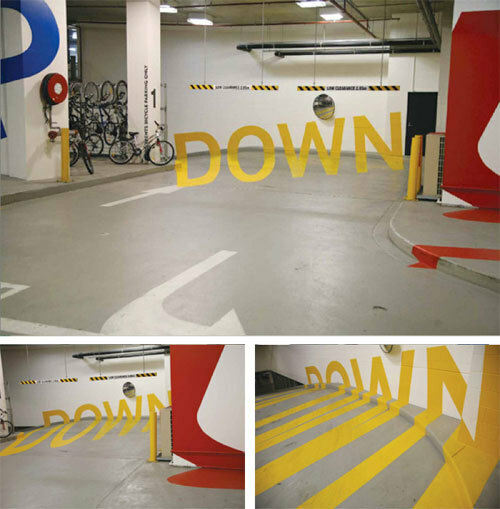 Continue reading this post for additional anamorphic lettering created for the Eureka Car Park project. 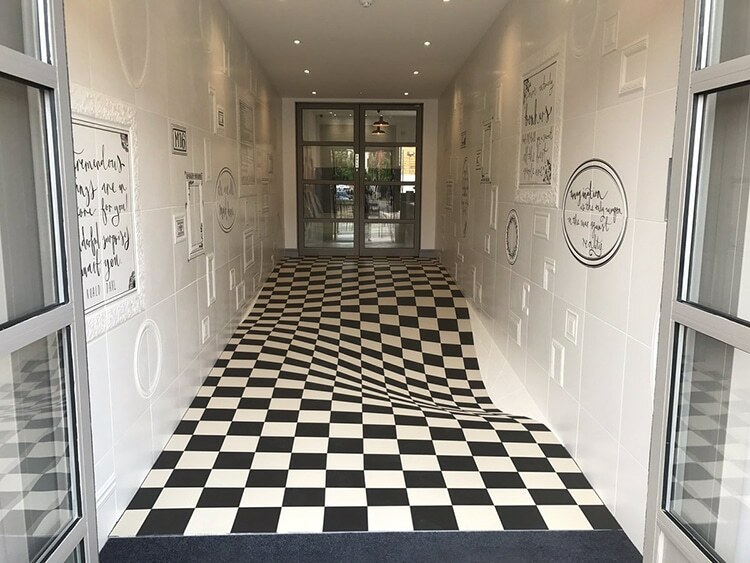 More work from Axel Peemoeller can be found on his personal website.